Ever want to warm up your Chevy on a cold morning without having to leave the house? Or crank up the AC when it’s sweltering out? Ever gotten into bed and suddenly worried that you left your SUV unlocked out in the driveway? Most people don’t know that they can control their Chevrolet thru their Amazon Alexa. In this Vlog, I share with you how to set it up, how to use it, and a couple of errors you might encounter. 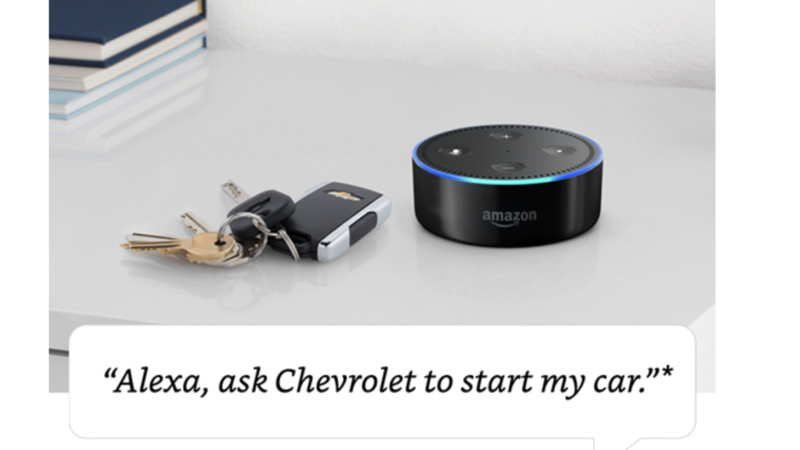 Alexa, ask Chevrolet to start my car: Alexa will ask for your PIN, and then start your vehicle, if properly equipped. Alexa, ask Chevrolet to stop my car: Alexa will stop the car you most recently started. Alexa, ask Chevrolet to lock/unlock my car: Alexa will ask for your PIN, and then lock or unlock your vehicle, if properly equipped. Multiple vehicles can be managed with the skill but it allows customers to interface with only one vehicle at a time. If you like this and think someone could benefit. Pay it forward with a share using the icons below.